Washington, May 21, 2009, the U.S. Navy is supporting search efforts to locate the HH-60 Seahawk helicopter that went down off the coast of Mexico and Southern California May 19. at 11:36 PM. A team of experienced search and salvage specialists from Explosive Ordnance Disposal Mobile Unit (EODMU) 1 will join with U.S. Coast Guard Cutter Steadfast. Steadfast is on station in the vicinity of the incident. Once on site, EODMU 1 personnel will deploy unmanned underwater vehicles (UUVs) with side-scan sonar technology to locate the downed helicopter. The data collected by the UUVs will be analyzed to identify the debris field. The HH-60 was attached to Helicopter Anti-submarine Squadron (HS) 6 located in San Diego. HS-6 is part of Carrier Air Wing (CVW) 11 assigned to the USS Nimitz Carrier Strike Group. Nimitz is currently participating in a Composite Unit Training Exercise. Rescue crews have recovered the bodies of three of the five people aboard the Navy helicopter, officials said today. The U.S. Coast Guard responded and officials are searching for the remaining two passengers. The Sikorsky SH-60/MH-60 Seahawk is a twin turbo shaft engine, multi-mission United States Navy helicopter based on the airframe of the United States Army UH-60 Black Hawk and a member of the Sikorsky S-70 family. The most significant modification involved a hinged tail that folds to reduce space on ships. 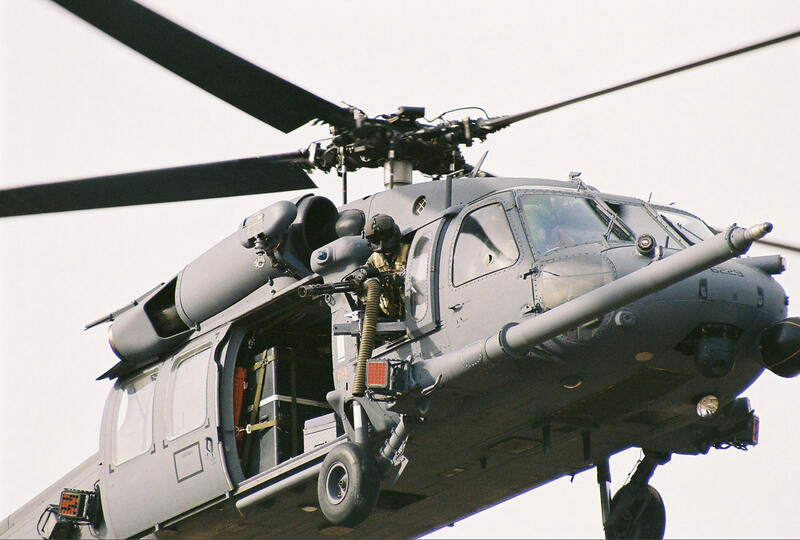 The U.S. Navy uses the H-60 airframe under the model designations SH-60B, SH-60F, HH-60H, MH-60R, and MH-60S. Able to deploy aboard any air-capable frigate, destroyer, cruiser, fast combat support ship, amphibious assault ship, or aircraft carrier, the Seahawk can handle antisubmarine warfare (ASW), undersea warfare (USW), anti-surface warfare (ASUW), naval special warfare (NSW) insertion, search and rescue (SAR), combat search and rescue (CSAR), vertical replenishment (VERTREP), and medical evacuation (MEDEVAC). All Navy H-60s carry either the Lucas Western or Breeze Eastern rescue hoist for SAR/CSAR missions.